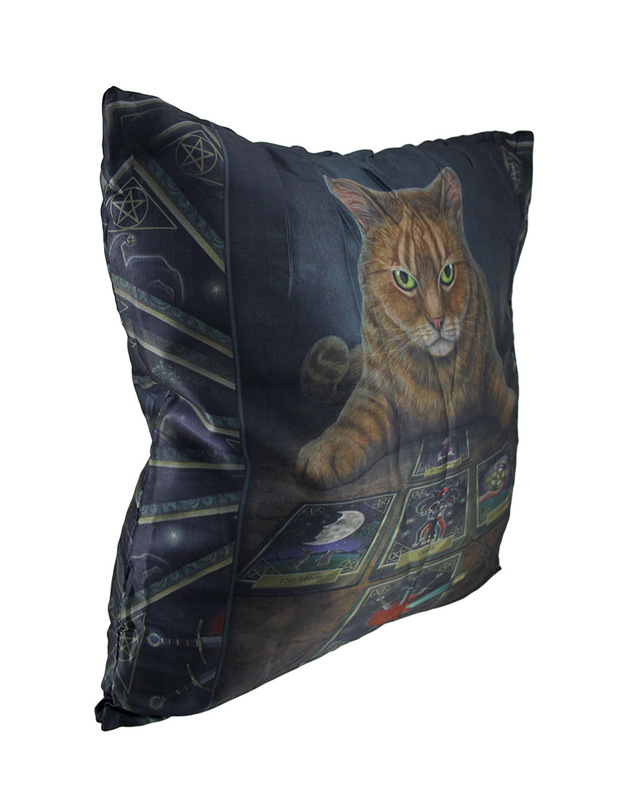 Designed by fantasy artist Lisa Parker, this wondrous 16 by 16 inch (41 X 41 cm) throw pillow titled `The Reader` features a green-eyed cat before a 5-card tarot spread. Made from 100% polyester, it has a zipper on the bottom to easily remove the satin cover, and is recommended to hand wash in cold water and hang to dry. It`ll add a fantastical accent in any room, and makes a magical gift for a friend sure to be loved!